I’m pretty confident that any software developer is by nature a geek. If you start writing code without an interest in making computers talk to each other and at least a little passion for logic (and yes, math), then you probably are getting into the wrong profession. So we’re geeks, and that’s pretty damn niffty. Geeks however, are not all about algorithms and code. Most geeks aren’t programmers, but have a wide variety of passions and activities. Today I’m going to talk about some of the fun stuff. Those things that many geeks enjoy, and how they enjoy them together. This last weekend I was fortunate enough to go to the San Diego Comic Con for a day and a half. It was my first time at this con, though I had heard a lot about it for several years. While I only was able to experience it for a short time, it did get me thinking again about geek culture and geeky society. Yes, we have a culture, and it’s pretty unique compared to the vanilla life that many non-geeks experience. Also, for anyone who’s silly enough to think that to be a geek (or even a nerd) you need to be anti-social, well that’s such a false stereotype that you need to get yourself to a gaming convention to sort yourself out. A rather blatently stolen image. 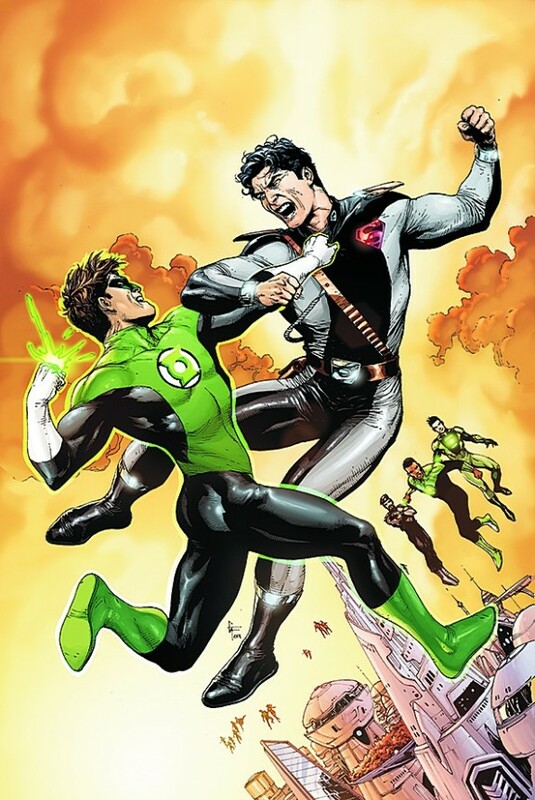 This time of Green Lantern vs Superman (or a variation thereof). Geek society is full of memes, in-jokes, intellectual humor, imagination, passion, and storm troopers. It’s a society based in comic books, video games, the internet, sci-fi and fantasy novels, television, movies, steampunk, anime/cartoons, toys, pirates, ninjas, and awesomeness. It’s a community based on a shared understanding, interest, and love for those things in life that non-geeks would think of as weird or immature because they know not the value of taking down a raid boss or pondering the relative power levels between superman and the green lantern. It has been said by a lot of people that humans are naturally social creatures. I think this is extremely prevalent in geek society. One can wear a t-shirt featuring stick figures using sudo on each other to acquire sandwiches, and act as a beacon to other geeks for starting up conversation about web comics, or science, or math. As many geeks feel ostracized by regular society, we tend to drift towards and bond more quickly to others of our kind, forming larger collectives of super geeks. Like unstable atom configurations form molecules. Or Voltron for that matter. My personal realm of geekery ranges from comics to video games. I lean more towards video games due to some of the social aspects of them. As a youngling, I developed in a fairly rural area where contact with even other kids was fairly infrequent. Games and the internet helped to bridge that gap in my social development. In college, games were the focal point of my social interactions (I went as far as being the president of the Gaming Club). I realize that even now that I have “real” friends and a wonderful fiancé, that games are still an important aspect of my social life. Games can keep long distance relationships with friends connected, or forge new or stronger relationships with people. StarCraft 2 has finally been released by Blizzard. My hope is that through this game, I can reconnect with lost friends and expand into new ones. 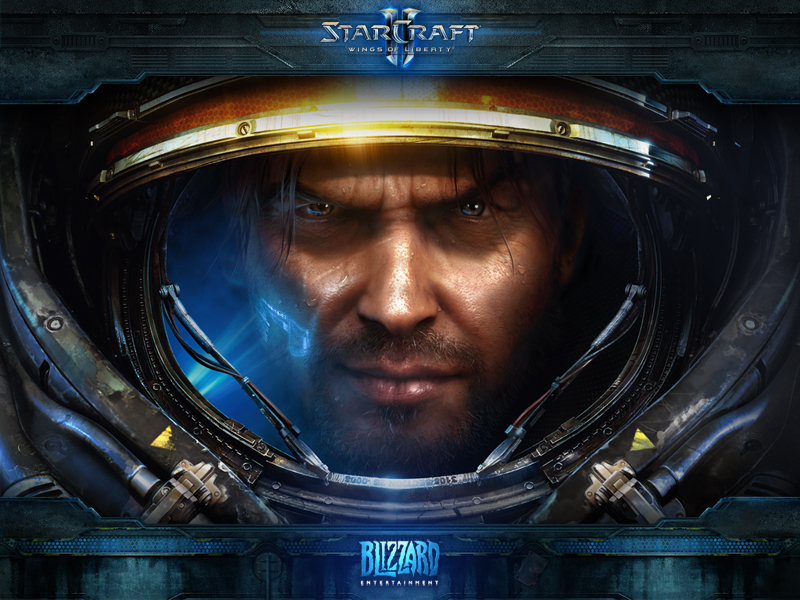 Recently, Blizzard released StarCraft II, a sequel to a game I played quite a bit with many of my friends in college. While the single-player game is quite fun, it’s the multiplayer opportunities that the game provides that draws a lot of the people that I know. It is my hope that, with the release of this game, I can once again connect with friends of mine on the other side of the country, along with meeting new friends in the conquest to eliminate the zerg scourge. And it is that, the unified goal of terrible vengeance upon our enemies; the subsequent battle that pits our strength and skill against those we would conquest against; the ultimate defeat because we really don’t play this game enough. Those moments, like the sharing of customized D&D character and world concepts, are what glue us together as a society. Of which, if anyone is up for playing (usually after 6:30pst), give me a buzz and we can trade Real IDs™.